Accounting for between 65 and 85 percent of all businesses worldwide, family enterprises are crucial drivers of both the prosperity of nations and the global economy. Coming in various shapes and sizes—ranging from corporate giants to countless small-to medium-sized companies—family enterprises cut across all industry sectors. And, while no two businesses are exactly alike, and each company has its unique structural, operational and cultural nuances, when it comes to family-owned enterprises, there is an additional layer of complexity that demands a specialized knowledge and skill set from those who seek to advise and guide them. As the family enterprise field as a distinct area of research and practice has grown and evolved, so too has the sophistication of family enterprises themselves. Family enterprises now expect more from their advisers than technical solutions. Professionals entering and practicing in the field need to consider a variety of topics to work effectively in this unique sector. 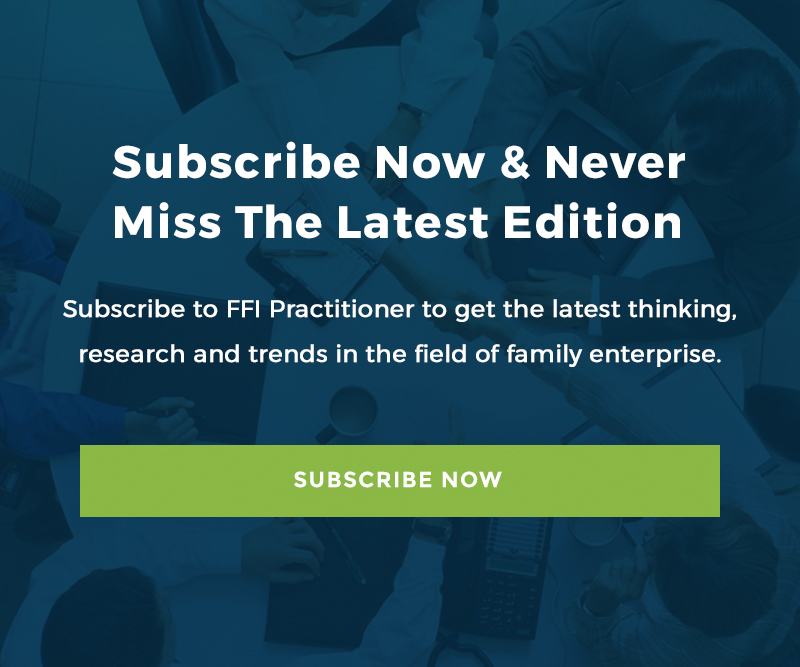 Published by the Family Firm Institute, Inc., “Getting Started as a Family Enterprise Professional” is designed for new and seasoned advisers and consultants. It combines more than thirty years of research and practice in the field and provides practitioners with a resource to understand and develop the skills essential in working with clients. It is also an educational guide for use with clients to explain the unique characteristics, approaches, and values to look for when hiring qualified family enterprise professionals.